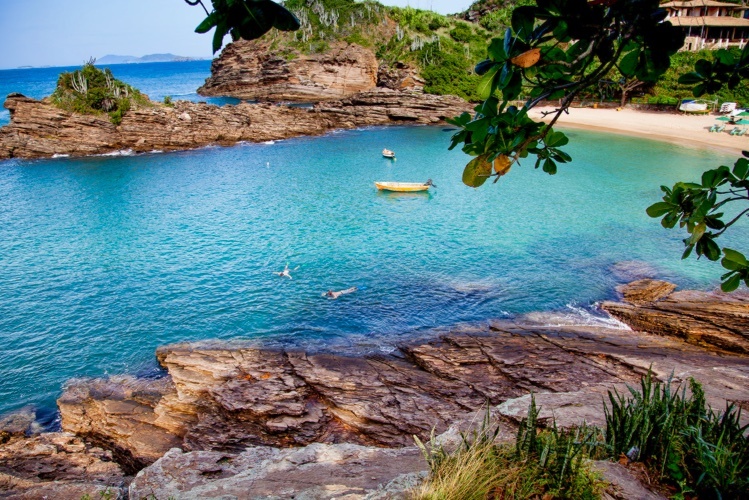 The cove with calm and cold waters is a favorite of families with children. 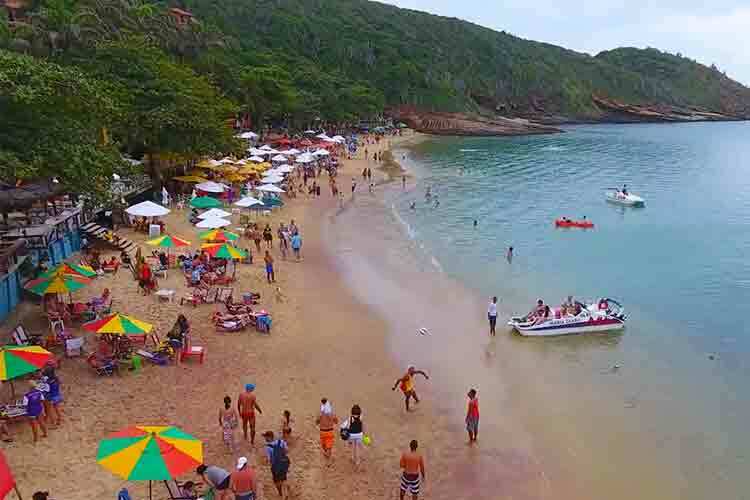 Besides the tranquility, the beach offers a full structure of kiosks on the left corner – in the menus, the choices range from shrimp patties to sea bass stew (moqueca) with coconut milk and palm oil. The fun is guaranteed by the banana-boat rides, kayaking, and sailing. Surrounded by mountains and cliffs, the beach is a beautiful cove with calm waters - sometimes green, sometimes blue - and fine white sand. The simple beach huts ensure drinks, snacks, chairs, and umbrellas, as well as kayak and SUP (stand up paddle) rentals, which are a great way to explore the surrounding area. 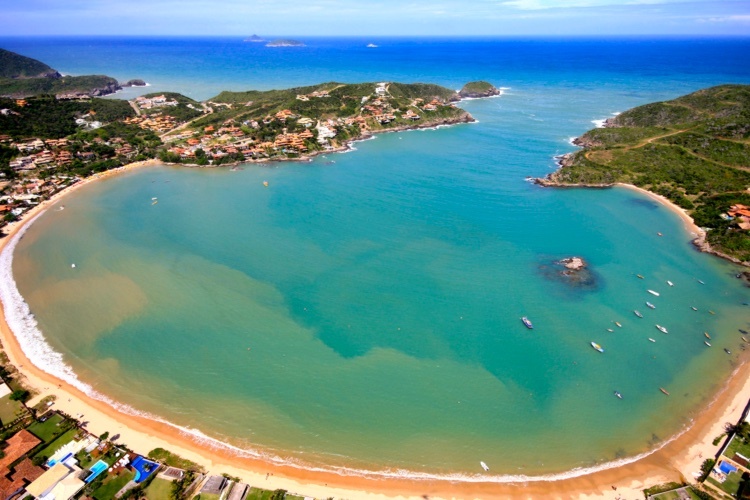 Geribá is one of the key points in Búzios and is a gathering ground for the young crowd. Ideal for surfing, body boarding, footvolley, windsurfing and stand up paddle, in addition to flirting! 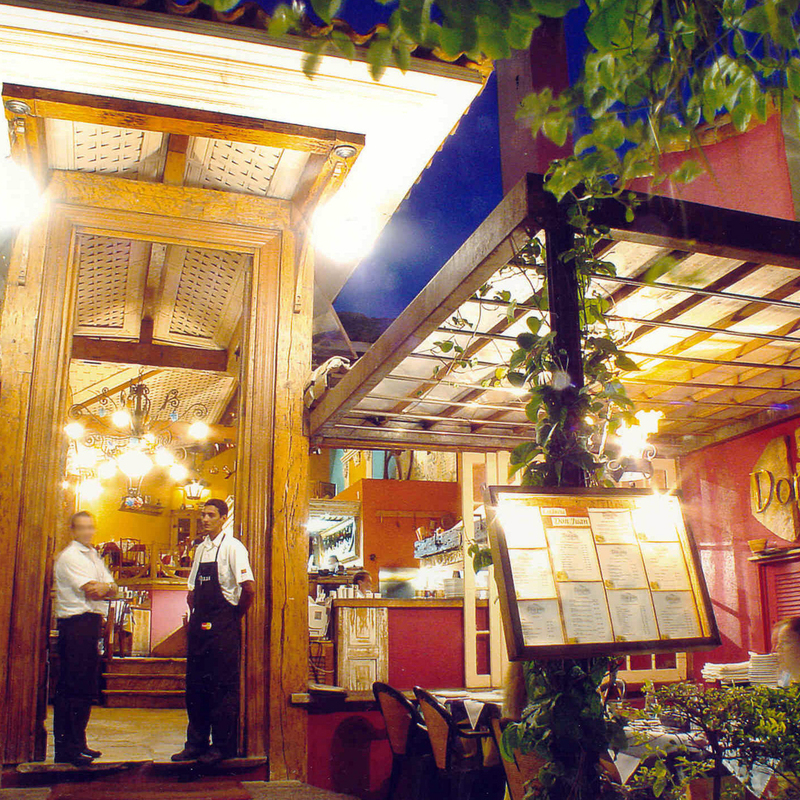 The buzz is focused in front of the Fishbone Café, on the right corner, which features a bar, restaurant, pizzeria, fish grill and lounge with great music. The beach has calm waters that are usually the warmest in the region since it’s not bathed by the cold currents from Antarctica. 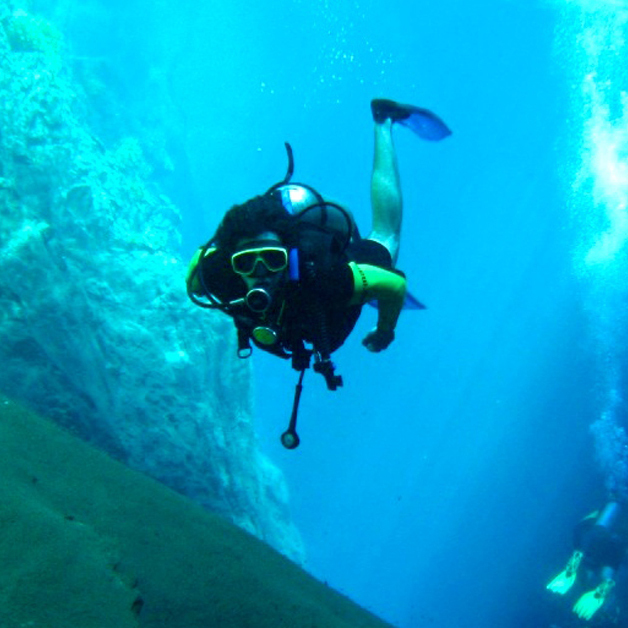 Take some time to snorkel along the cliffs of the right corner. Along the long stretch of sand, kiosks for all tastes scatter chairs, and loungers around. The MPB soundtrack ensures total relaxation. Don’t leave before sunset. 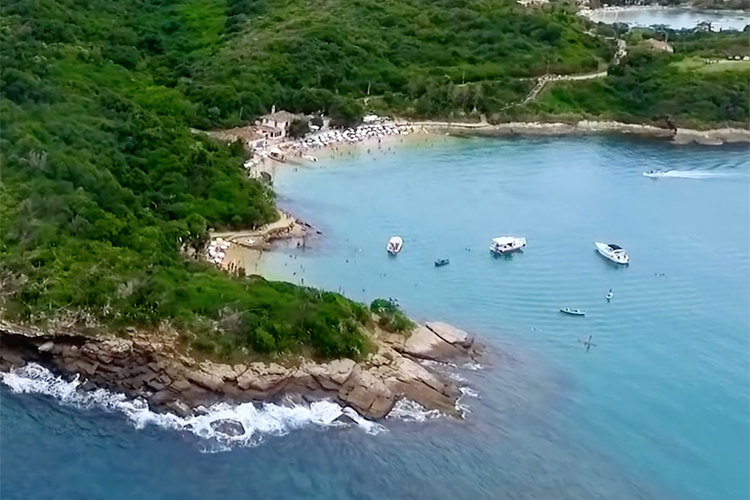 The small cove has thick sands in reddish tones and very clear waters, perfect for snorkeling and fishing, especially near the rocky cliffs, with its natural pools. Families take over the beach during vacation and long weekends. 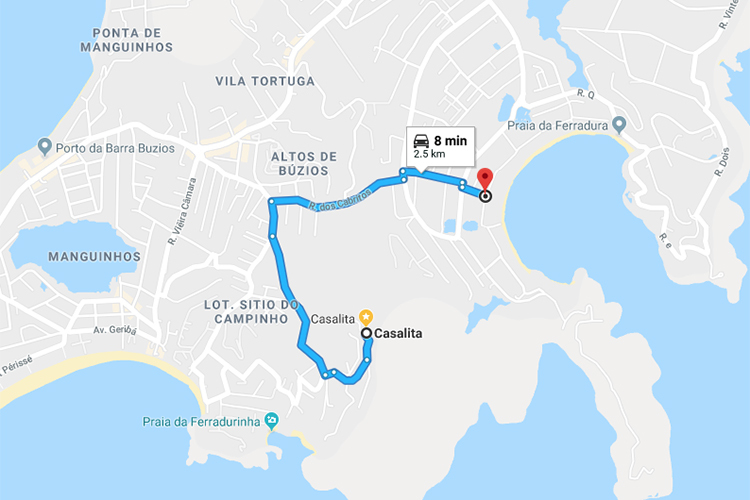 Access is by a road starting Downtown, the Estrada Nova da Usina road. 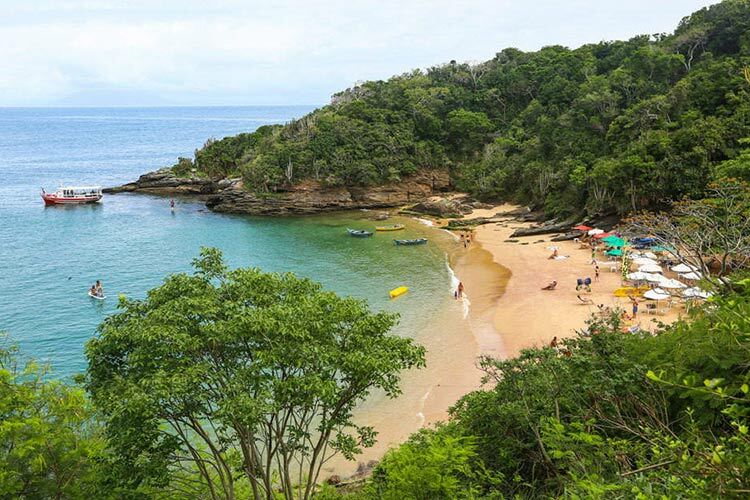 Beautiful and wild, the beach is divided into two parts: on the first part, to the left, there are kiosks and restaurants with beautiful views of the sea. Walking on the rocks you will reach the other side, which is quieter and less crowded. 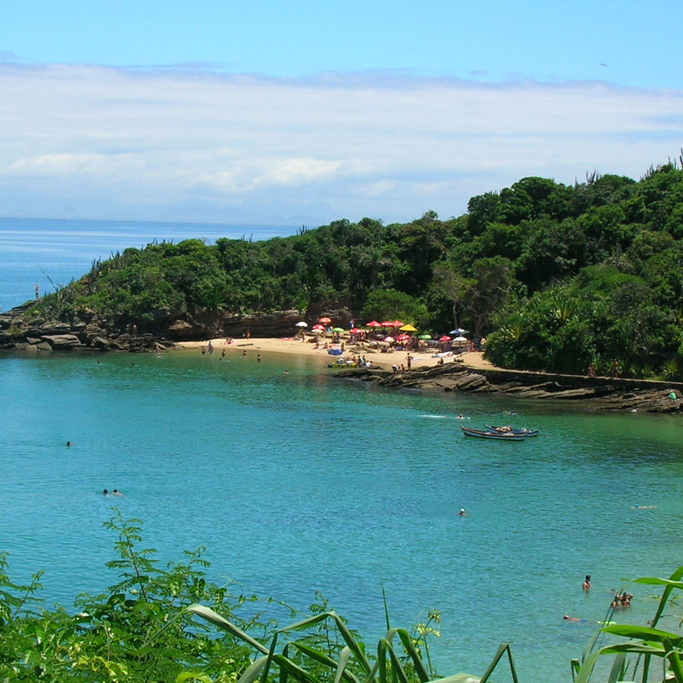 From there you will find a trail leading to Olho de Boi beach, a nudist haven. 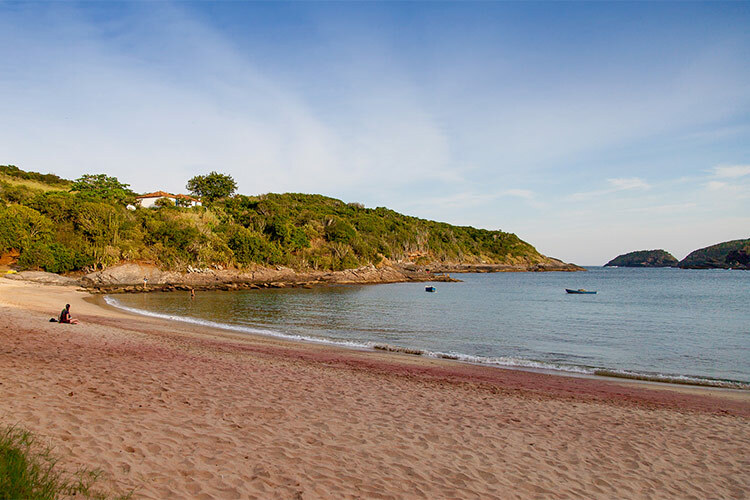 The Azeda beach has calm and clear waters and is accessible by a cobblestone street and a wooden staircase from the Ossos beach. 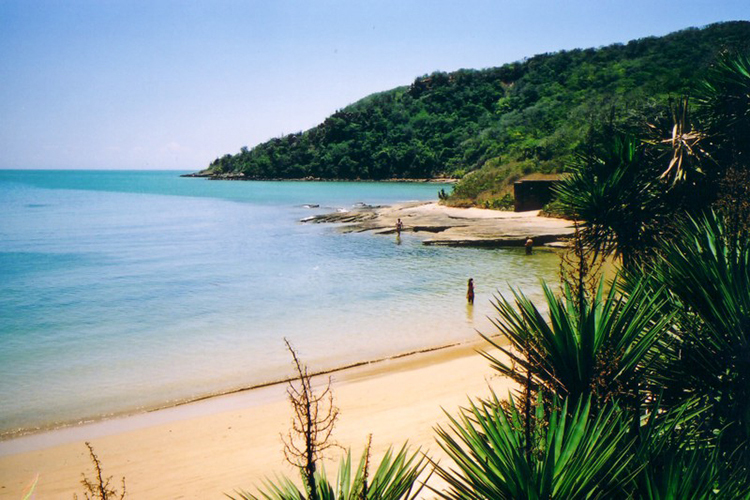 An alternative is to take a water-taxi from Ossos beach and take a quick and pleasant ride on the way to or from Azeda. 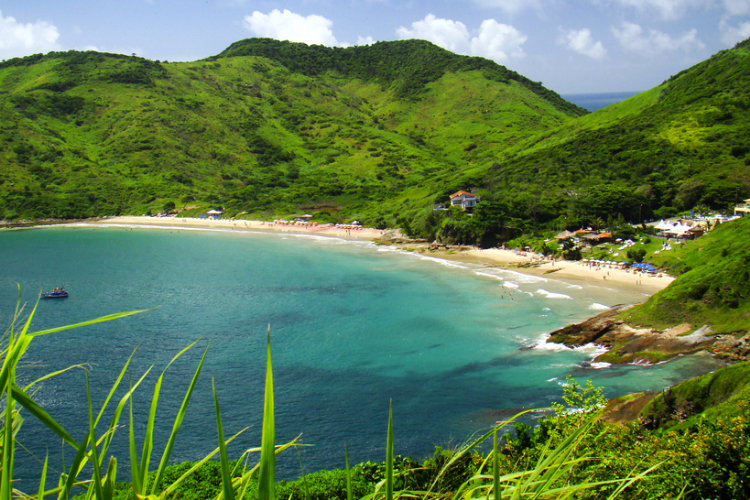 A short path near the rocks leads to the Azedinha beach. 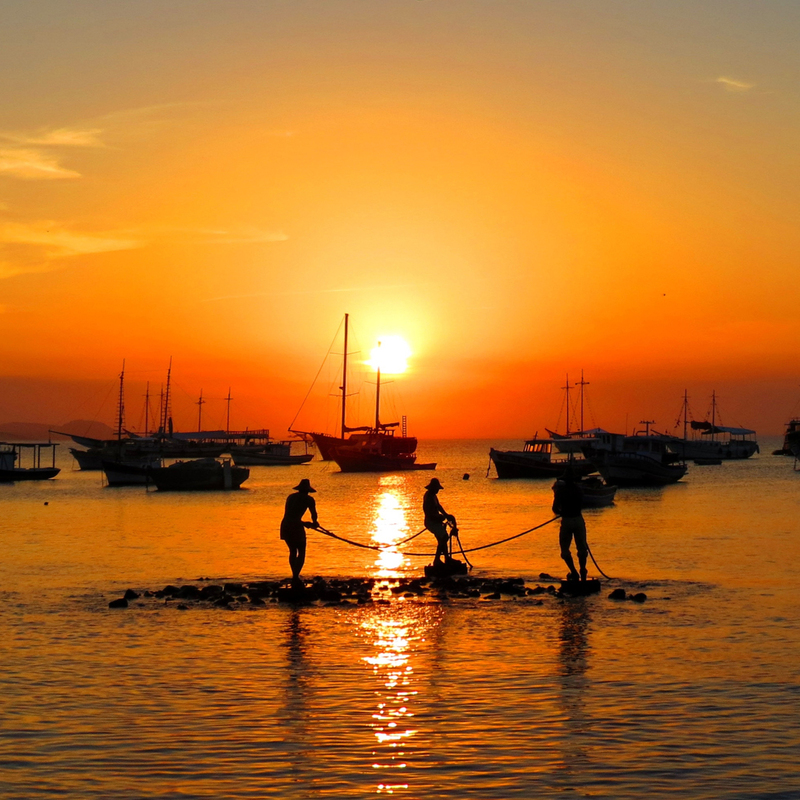 The beach is a favorite of foreign tourists - especially the Argentinians - who enjoy the good infrastructure of bars and restaurants that serve snacks and dishes with lobster and shrimp. The kiosks sit on a plateau, but usually scatter tables and chairs on the sand - which is prohibited. 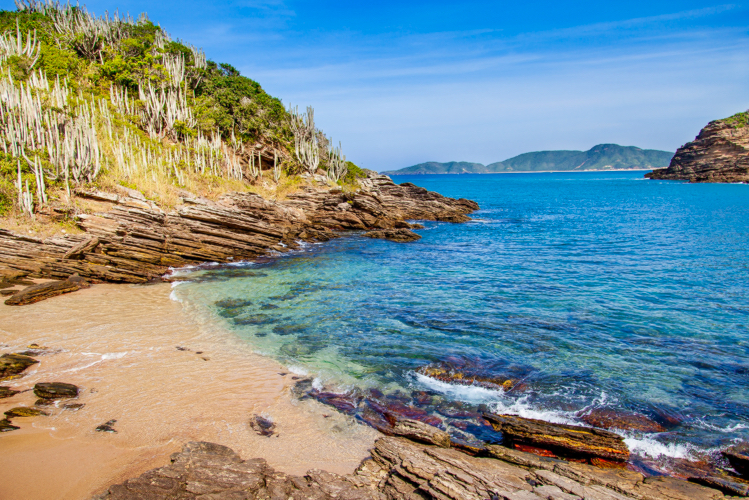 Tiny and quiet, calm and crystalline waters accessible from the right corner of João Fernandes through the rocks or a path with steps on the hill. 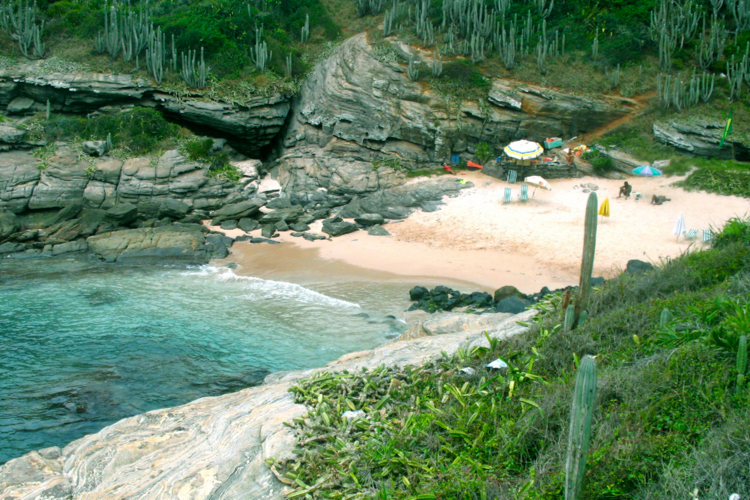 The cliffs covered in native vegetation that surround the beach and are sought after for snorkeling and spearfishing. Rustic kiosks offer cold drinks and chairs, while the almond trees ensure the shade. 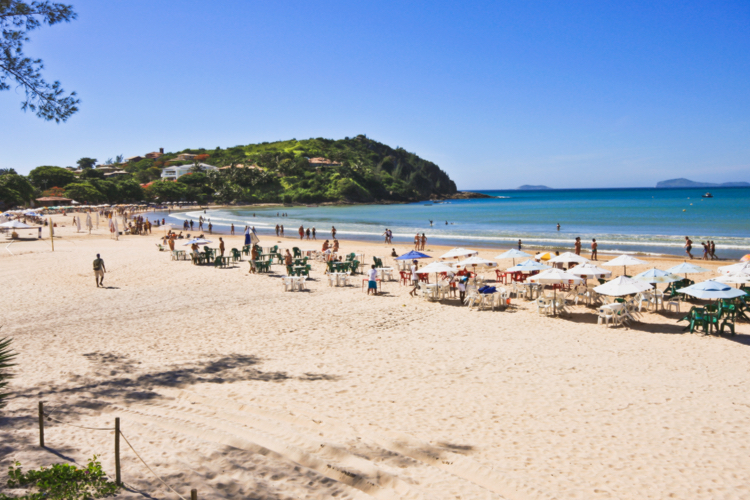 A haven for naturists, the wild beach with very white sand is not easily accessible. To get there, you have to go up and down a hill starting on the right corner of Brava beach and walk for about half an hour. Avoid going alone - some parts are between the rocks and accidents could happen.